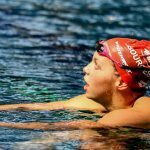 Being a coachable swimmer goes beyond listening to your coach–it means that you are on the fast track to improving in the pool. 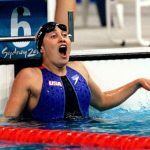 Here’s what you need to know about being a coachable swimmer. With some swimmers you could always predict when the bad body language would start rolling in. The moment the main set went up on the whiteboard you’d get the slouched shoulders. The eye rolls. The grumbling. They would argue the intervals. They would argue the reps. They would try to negotiate for less kick and more pull work. And they’d throw a fit if coach called them out for sandbagging the set. It’s exhausting being around swimmers like this. Poor self-awareness. 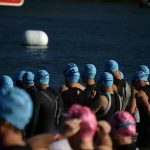 Our biases—and we have a lot of them—skew our perception of our training and swimming to the point that being fully self-aware is next to impossible. 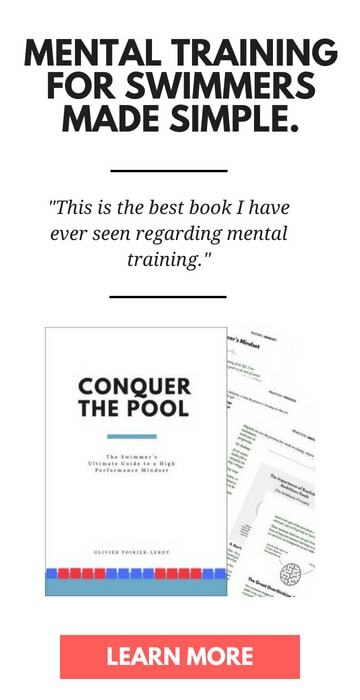 The uncoachable swimmer starts out by not being able to soberly assess their strengths and shortcomings, and perpetuate them by refusing to acknowledge outside help. Unable to dissociate themselves from their swimming. We spend so much time in the water that it’s natural that our swimming and our self-identity become tightly intertwined. 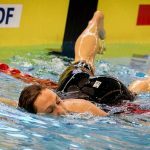 Criticism of our swimming performance can often end up feeling like an attack on who we are as individuals. When our coach tells us that our technique needs work we take it as a personal slight. 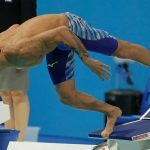 On the far end of things, the uncoachable swimmer is also a toxic influence on the group and team, meaning that they are not only sabotaging their own swimming but spreading it throughout other swimmers in the pool. 1. Listen up and take a breath. The hardest thing to do at times can be listening to someone who you disagree with, especially when you already have your mind made up about how you feel about what they are going to say. Take a deep breath, maybe two or three of them, and hear them out. If the criticism particularly stings, sleep on it—not only will it dull the anger, but you will be able to better assess the validity of the criticism. There’s no need to fly off the handle—if you still truly disagree with what your coach said a night of sleep and thinking it over will only help you calm and crystallize your perspective on the situation. Talk to your parents. Talk to your teammates. They have a different point of view on what’s happening that can help you either (a) realize that your frustration and uncoachability is valid or (b) that you might be taking criticism too personally. 3. Be willing to be challenged. This is the biggie. When you go to practice you need to open yourself to the challenges and difficulties ahead. In the words of one Olympic coach I spoke to recently, you need to allow yourself to be vulnerable in training. This means that it’s okay to fail. To not be perfect. To work the set as hard as you can, and still come up a little short. The moment that we step on deck and shut ourselves down to being challenged is the moment we cease to be coached. 4. Remember that success is a group effort. Although swimming can often feel like an individual sport with the endless hours spent staring at the bottom of the pool, long term success is ultimately the result of a group effort. Your parents are there to bankroll and support you through your age group years. Your teammates will push and encourage you to be a little bit better each day in practice. And your coach will help plan, instruct and motivate you to do more than you ever thought imaginable. When you open yourself to being a coachable swimmer you instantly get a hurricane-force wind behind your back, pushing you further and farther than you’d be able to do on your own. During the fog of practice it can easy to lose track of our temper. With arms flailing everywhere, people screwing up intervals, and your stroke feeling way off, a piece of instruction from your coach can be just the thing to send your rage into a, uh, rage. Later on, after you get home from swim practice, sit down with your training journal and take some time for some reflection. When you are in the quiet of your own company you can be a little more realistic about how you approached the situation, and what you can do differently in the future to open yourself to improvement. There will always be moments where you disagree with your coach. Anytime they write up a set that challenges what you think you are capable of there’s going to be that rising voice of protest. Remember to take a moment, take a breath, and let yourself be challenged. Faster swimming awaits on the other side. 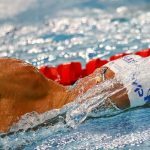 Swimmers: How to Have a Better Attitude and Sleep Better at Night. The benefits of regular gratitude have been shown to significantly help us manage stress, sleep better, and eventually, swim faster. 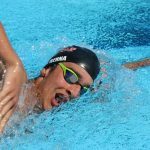 3 Daily Things Swimmers Can Do to Build Self-Confidence. 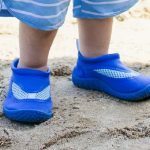 Struggling to consistently be confident? Here are three things you can do each day to keep your self-confidence high.